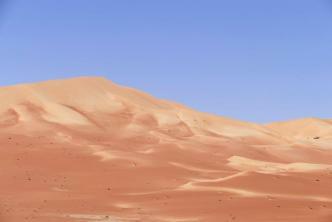 Desert Pink - real or not? 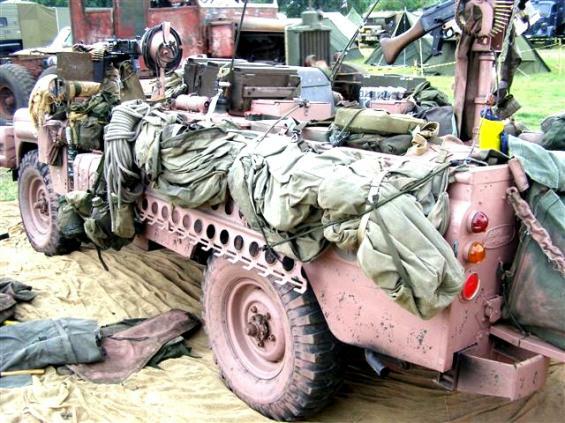 To consider the color “pink” as an actual camouflage for vehicles in the desert did never sound plausible to me. 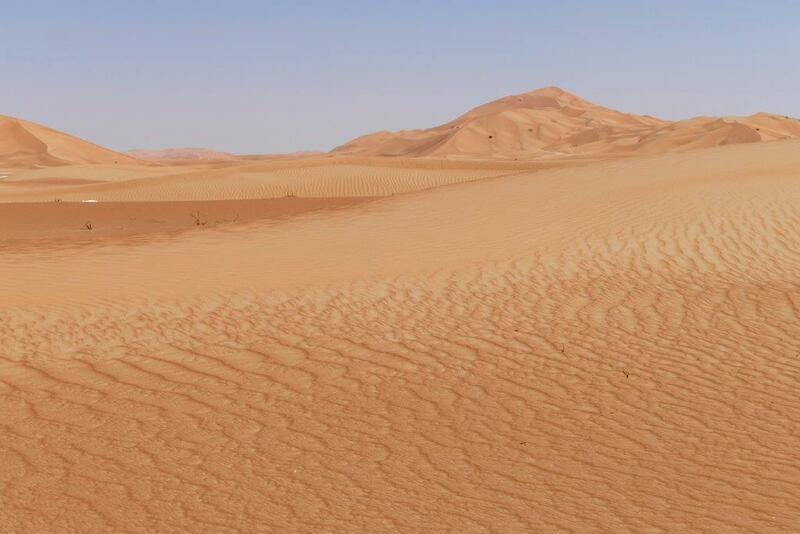 Some “sources” (I do not know if these are really sources or just quoted hearsay) state that “in the Sahara, under certain conditions in the evening sun, the sand appears to be pink”. 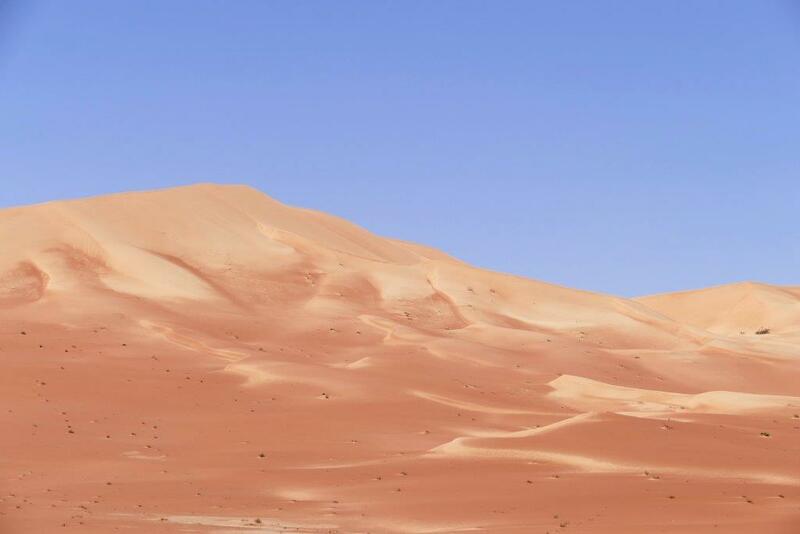 It is true, especially in winter time, when the sun is going down, short before sunset, the “red portion” in the natural light is much higher than during the day – and this can clearly be seen by eye. But what you see is “reddish”, not “pink”. 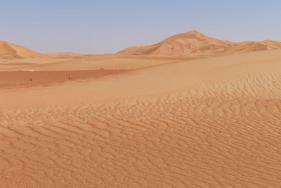 There are also regions in the Sahara where the sand has a “reddish” color – but again: “reddish” not “pink”. I can only assume that some thing went wrong in the communication when the paint shop in cairo was ordered to apply a new layer of camouflage to the trucks of the LRDG – apparently they did not hear “reddish”, also not “pinkish” but a clear “pink!”… and obviously this is exatly what they did to the trucks. 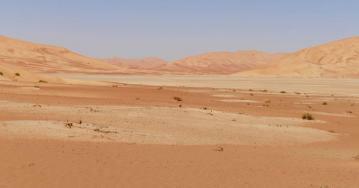 …but much later the topic “Desert Pink” was taken up again. Not by the LRDG, it was disbanded in 1945, but now by the SAS. 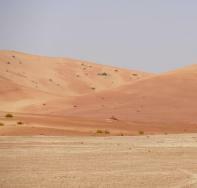 Landrovers had replaced their wartime Jeeps and for the use in the desert they were spraiyed – what a surprise – “Pink”. 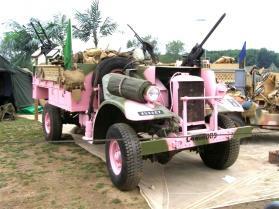 Obviously it was not the “bright Pink” anymore as before on the LRDG-trucks but something a bit more “faded”. 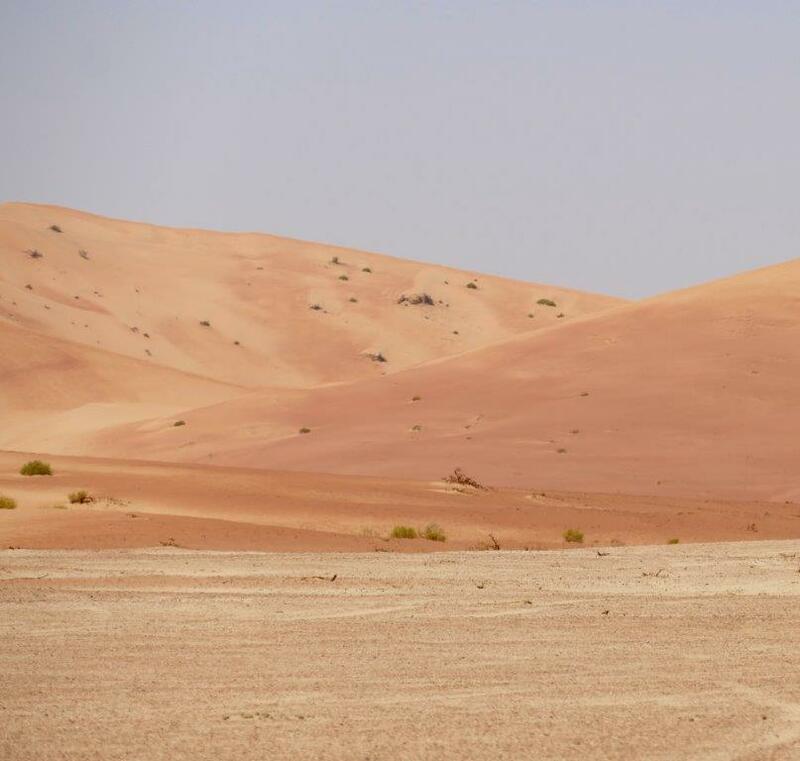 I cannot say if camouflage worked better then on the Land Rovers, contemporary pictures of these vehicles in the desertt which I have seen appear to show “Pink Land Rovers clearly distinguished from the yellow sand”. I am also not sure if todays “Pink Panthers” as these Land Rovers were colled are sprayed in the correct tone of the 1960ies or if their owners went to too much Pink. 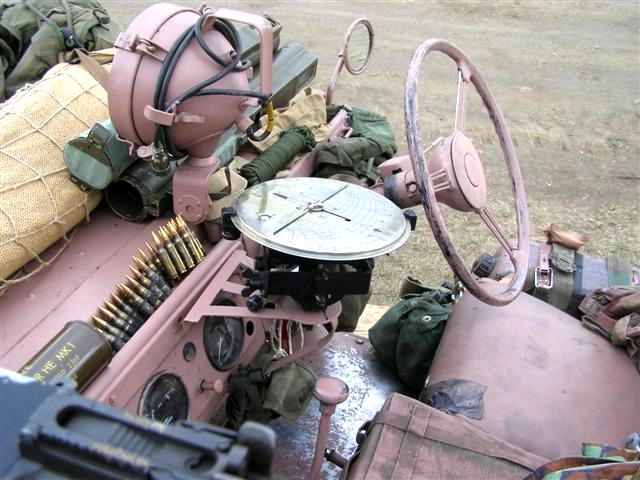 Ok, this pink sand covered only a rather limited area – not really sufficient to spray pink color on a vehicle to hide it from the eyes of the enemy. 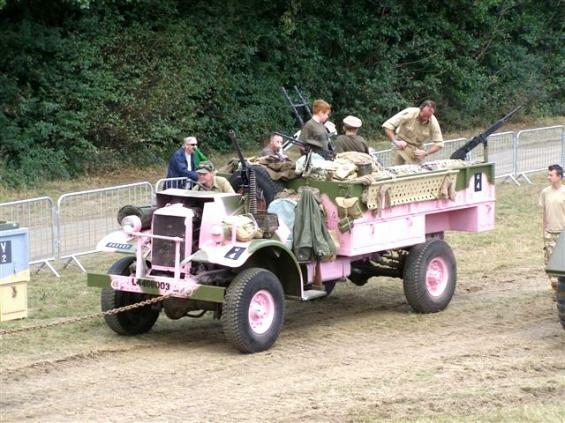 Anyway – “Desert Pink” exists, I have seen the proof with my own eyes and to see a “Pink Panther” or a pink Ford CMP of the LRDG at a military vehicle display is more than a nice change compared to all those trucks and cars in the always same “Olive Drab”. The pink LRDG-trucks were CMP Ford F30 4×4 30cwt. Shown here in these photographs is the truck “G4 Nursey” which belonged to G-Patrol. It is naturally a replica, but a very fine one – built by the “British Desert Raiders” and on display during “Beltring War & Peace” Show in 2011. I had the great opportunity to attend this phantastic event on invitation of Paul Lincoln of the “British Desert Raiders”. Back to the truck – these Ford were actually already in retirement from the LRDG (and what we read is that they did not really like them compared to the Chevrolets) when, due to a shortage of trucks, they had to be brought back into service until a sufficient number of new, purpose-built Chevrolet trucks were available. In 1968 The MOD bought 72 Series IIa 109s, officially known as Truck, General Service, 3/4 Ton, or FV 18064, which they had adapted for use by the Special Air Service in the desert. These vehicles were designed for long distance reconnaissance and special operation missions. Previously they had been using the 88 inch SWB Land Rover for their operations and in the late 1960s they were looking for a bigger load carrier. 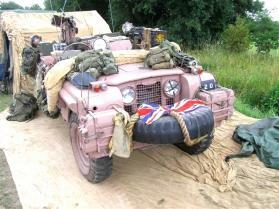 In 1968, Marshalls of Cambridge were commissioned to convert a 109 inch Land Rover for desert duties. Four fuel tanks allowed a capacity of 100 gallons to be carried. Heavier duty chassis, springs, sand tyres, guards to the differentials and a specially mounted spare wheel were also fitted. The doors and windscreen were removed. Equipment included a general-purpose machine gun (GPMG), anti-tank weapon, rifles, grenade holders, smoke canisters and navigation equipment such as a theodolite and compasses. When fully loaded with fuel, weapons, and other kit, the vehicle weighed in excess of 3 tonnes. 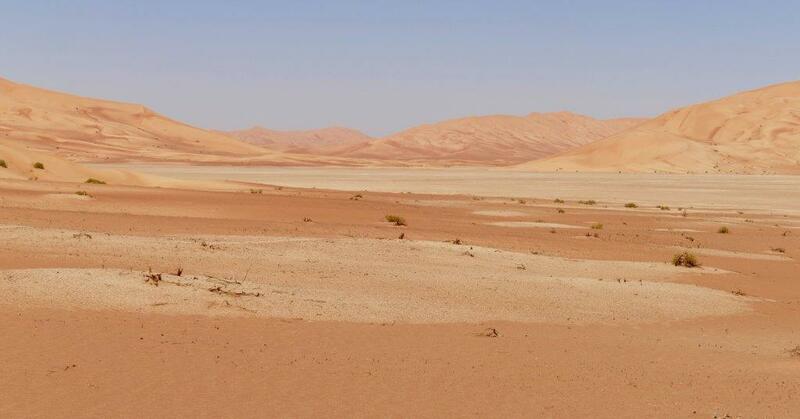 The vehicles were delivered in standard bronze green, but many were repainted in a pink colour, which at that time was believed to be the best camouflage in the desert. The pink paint scheme was said to be a highly effective desert camouflage, especially at dawn/dusk. 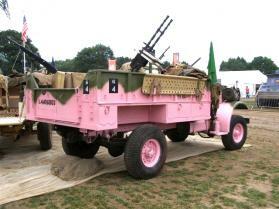 It was as a result of their colour that they became known as ‘Pink Panthers’ or ‘Pinkies’.